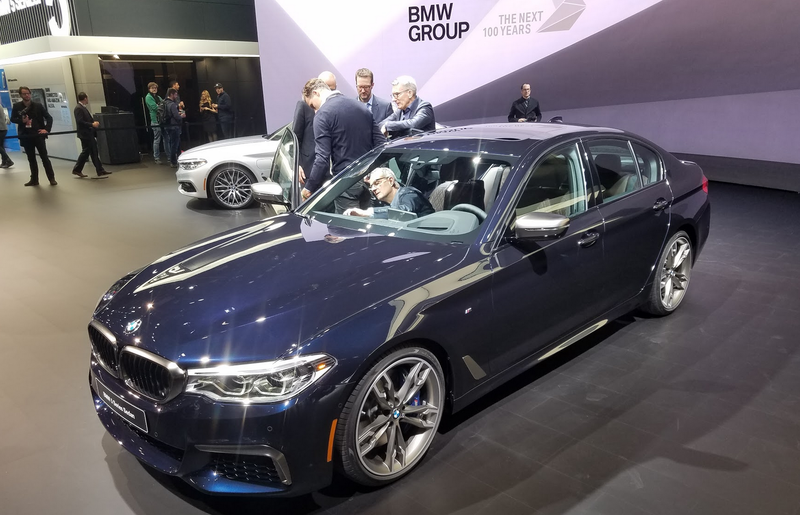 DETROIT: BMW unveiled the seventh generation of its midsize sedan at the 2017 North American International Auto Show in Detroit. The all-new 2017 BMW 5-Series is lighter than its predecessor by up to 137 pounds, and is set to offer an extensive roster of new models, powertrains, and technology features. As per BMW tradition, the seventh-generation 5-Series model lineup will be vast, and is sure to get “vaster” before long. Available at launch as 2017 models will be the 530i (MSRP $51,200 with rear-wheel drive, $53,500 in xDrive all-wheel-drive form) and the 540i ($56,450 with rear-wheel drive, $58,750 with xDrive all-wheel drive). 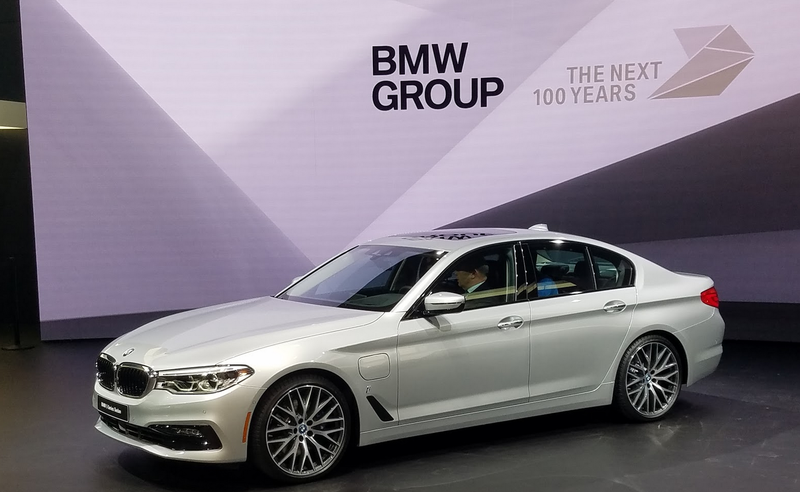 Joining the line soon after as 2018 models will be the 530e plug-in hybrid in both rear-wheel drive and xDrive form ($51,400 and $53,700, respectively), and the M550i xDrive sedan ($72,100). All prices listed are sans the $995 destination fee. The 530i is powered by a new turbocharged, direct-injected 2.0-liter 4-cylinder that puts out 248 horsepower and is good for a 0-60-mph run of 6.0 seconds (5.8 with xDrive). 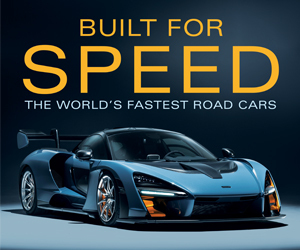 The 540 has a 3.0-liter inline 6-cylinder with 335 hp, and can sprint from 0-60 in 4.9 seconds, or 4.7 with AWD. The new 530e iPerformance sedan is the 5-Series’s first plug-in hybrid model. 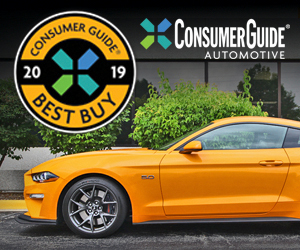 It pairs an “eDrive” electric motor with a 2.0-liter turbocharged 4-cylinder, and matches the horsepower output and 0-60 times of the regular gas-engine 530i. Three eDrive settings—AUTO eDRIVE, MAX eDRIVE, and BATTERY CONTROL—allow the driver to modify the 530’s battery-use characteristics. MAX eDRIVE allows an electric-only top speed of 87 mph, and the BATTERY CONTROL mode enables to conserve battery power during highway driving to enable pure-electric driving in urban areas later. The M550i xDrive will arrive as the 5-Series performance champ (at least for the time being), packing a TwinPower Turbo 4.4-liter V8 that puts out 456 hp and is capable of a 3.9-second 0-60 time. Standard on all new 5-Series models will be an 8-speed automatic transmission and adaptive LED headlights, 18-inch wheels (19s on the M550i), sport seats, and BMW’s Fatigue and Focus Alert system. Among the new available features are Dynamic Damper Control adjustable suspension, Remote Control Parking, Active Lane Keeping Assistant & Traffic Jam Assistant, and the Gesture Control system that debuted in the 2016 BMW 7-Series. The new BMW 5-Series lineup is set to begin arriving in dealerships in February 2017. The 5-Series lineup last saw a ground-up redesign for 2010, so it was high time for all-new generation to debut. As expected, the new 5-Series looks to be a technological tour-de-force that offers a few “trickle-down” features from the latest 7-Series. A broad range of powertrain choices and trim configurations is typical for BMW, and the new 5-Series follows that philosophy. The styling is a subtle evolution that updates familiar styling cues while maintaining the signature 5-Series profile. The M550i xDrive is the clearly the thrill machine of the bunch, but we’re curious to see how the 530e’s plug-in hybrid system functions in real-world driving. Stay tuned. Written by: Damon Bell on January 12, 2017.on March 29, 2018.